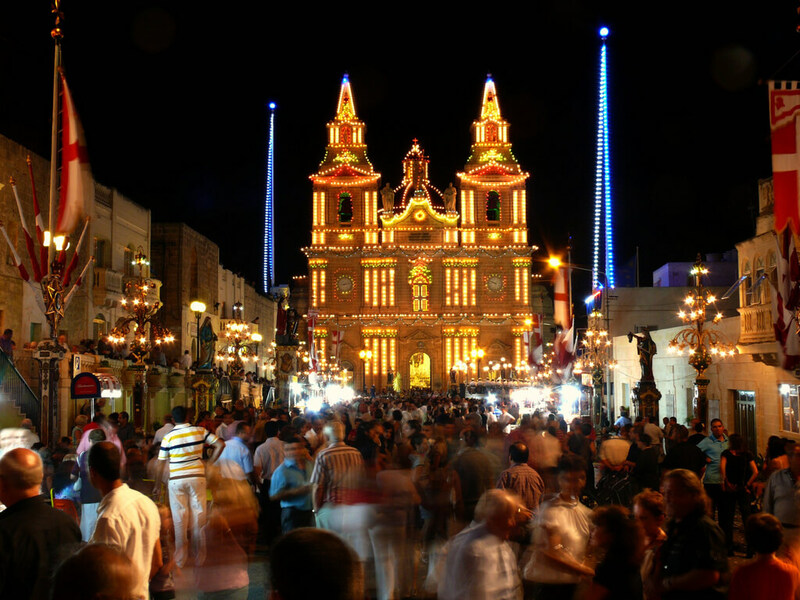 The Festa season in Malta. The summer season is the ‘festa’ season in Malta. If you visit Malta during the months of July and August you definitely will see plenty of fireworks to celebrate the feast of one of the many village patron saints. The largest and most popular feast is the feast of the Assumption of St. Mary celebrated on the 15th of August in 7 different localities. Historically this feast is especially special to the Maltese as it also coincided the day when Malta was saved from the World War II shortage of supplies which it desperately needed. All merchant ships that tried to reach Malta previously had been bombed but when on the 15th of August a convoy managed to make it through the Maltese saw this as an answer to their prayers and named the convoy The Santa Maria convoy after the patron saint of the day making this feast day even more loved. The 15th August is a Public Holiday.